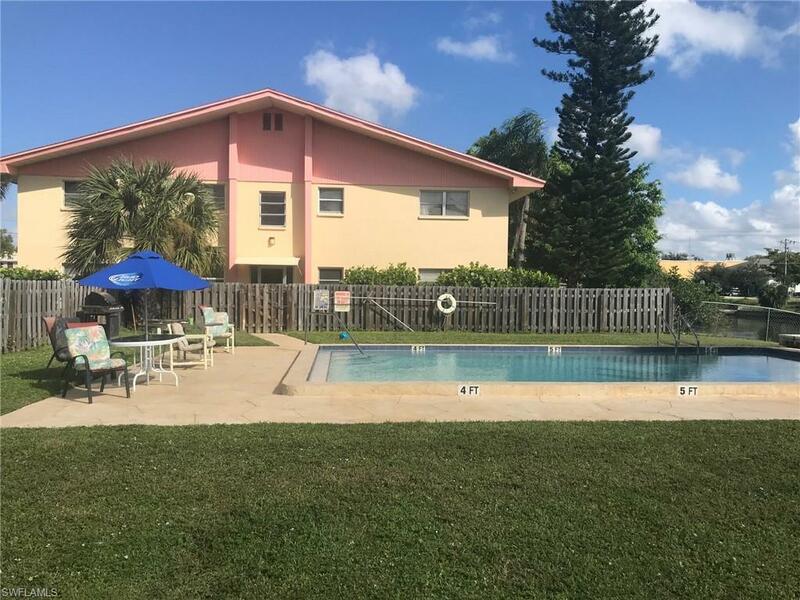 FIRST FLOOR GULF ACCESS CONDO perfectly located in SE Cape Coral with Assessments in & Paid! 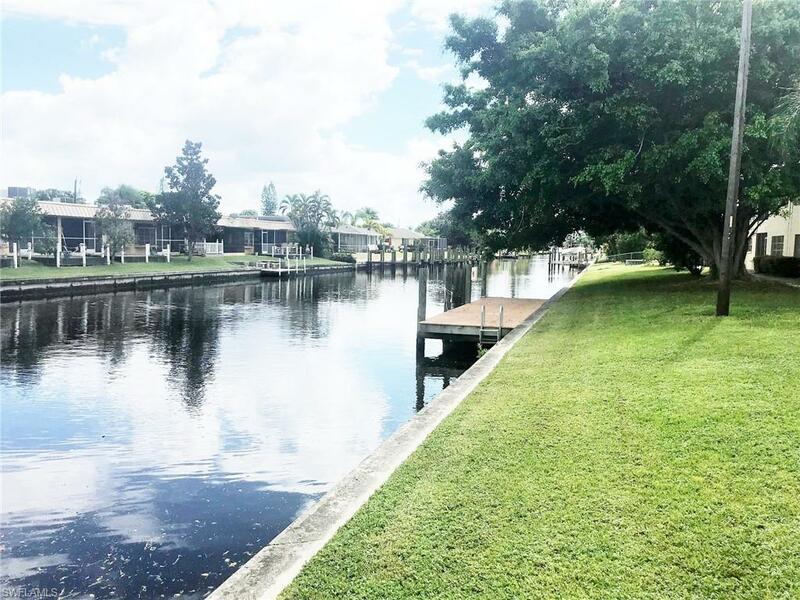 Only minutes to the River with no extra charge for community boat dock at your complex (first come first serve), plus fishing dock, exterior pest control, building insurance, community laundry, water, sewer, garbage removal plus close to beaches and The Yacht Club. Nicely located downstairs corner unit with extra windows because you are on the end plus quick easy access to the parking lot and NO stairs to climb plus small sitting private screened patio. 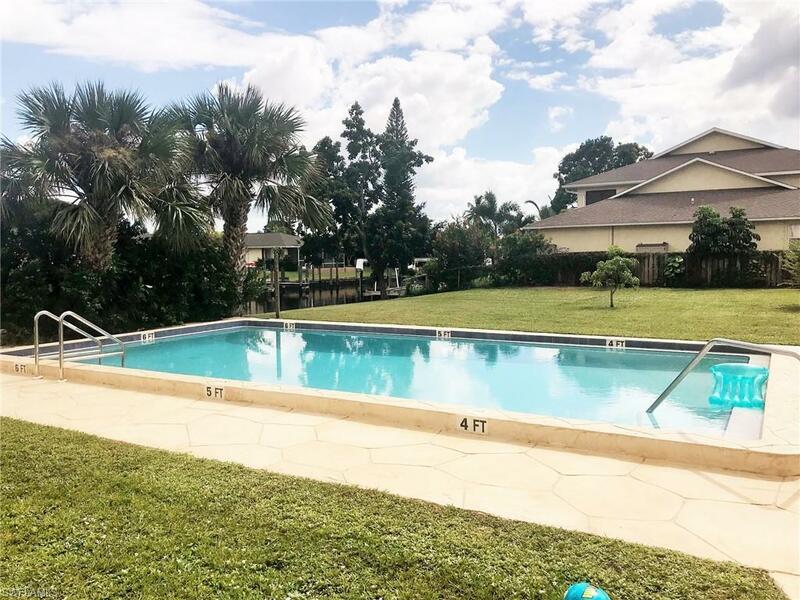 One of the most affordable complexes in SE Cape Coral. Newly resurfaced large community pool plus storage and bicycle area available. 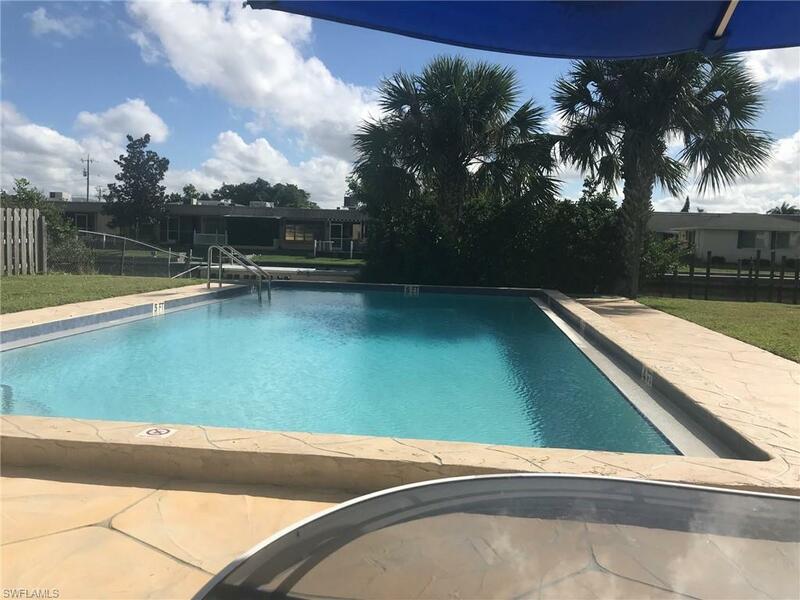 Within walking distance to dinning, entertainment, shopping and Cape Coral Parkway businesses. New Air Conditioning System. GREAT Investment rental since this prime location is always in demand and NOT age restricted. Rare to find: assumable private mortgage. Do not let this one slip away. You will not beat the price! Listing courtesy of Shirley Lucas of Ark Realty & Investment.